When it comes to divorce and separation, you have a choice on how to move forward. You don’t have to resort to stressful court proceedings. Mediation offers a more comfortable and cost-effective alternative. It takes the hostility out of divorce and custody. By emphasizing a cooperative approach, mediation focuses on resolving issues in a productive manner — not casting blame. With mediation, it’s not about winning or losing; it’s about solving problems and reaching favorable resolutions that are best suited for your family. It’s far less stressful than court proceedings. Mediation simply involves discussing issues in a comfortable and confidential environment with the help of a neutral facilitator. You won’t have the stress and pressure of appearing in court. It empowers you to make the decisions. Ultimately, the power to resolve issues and solve problems is in your hands — not those of the court. You get to be an active participant in shaping the terms of an agreement that will govern your life for years to come. This fact alone leads to more satisfying outcomes. It’s far faster than the court process. Court proceedings can drag on for months or even years. With mediation, you get to decide the issues on your schedule. From start to finish, mediation often takes only a fraction of the time that a court divorce takes — freeing you up to focus on moving forward. It’s far more affordable than litigation. During traditional divorce and custody battles, lawyers end up pocketing the most money, leaving you worse off financially than when you started. Mediation puts that money back in your pockets. It’s a far more efficient, cost-effective alternative. To learn more about divorce mediation, call Resolve Attorney Mediators of Rochester, New York, at 585-256-2109. Our lawyers can walk you through what to expect. 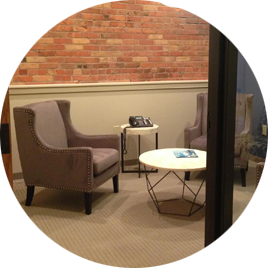 Our office is conveniently located in a renovated carriage house in the historic East Avenue District.